Easily track leads from start to finish? Maintain a healthy pipeline? While staying organized! Easily maintain a clean pipeline and stay up-to-date on the latest sales cycle of a specific lead/client. 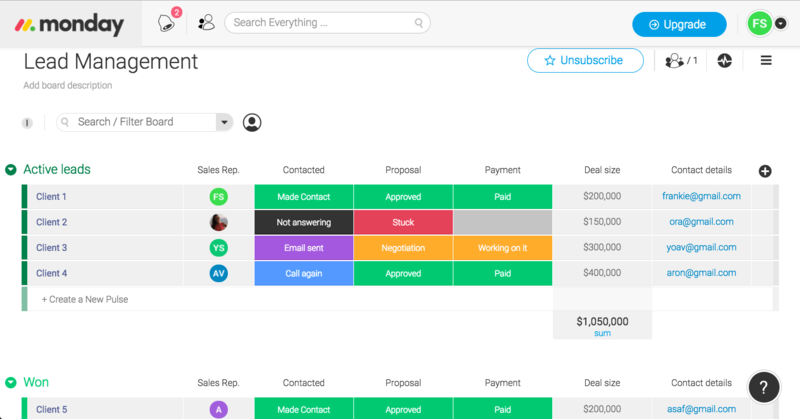 Classify and score leads as they move through the phases of "contacted" through "closing". 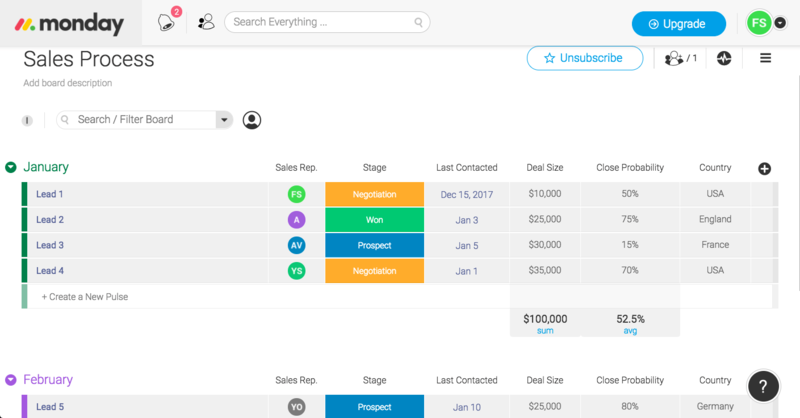 Provide full reports and a breakdown of sales cycles and where each lead stands, while tracking deals that have closed. Track and optimize sales strategies to be both effective and efficient! Whether you’re working at a growing start-up or a large corporation, the steps of a sales process remain quite similar. From identifying what the client needs, walking them through the negotiation phase, to finally, closing the deal. While this seems like three easy steps; there is much more to the sales process than that. There are many moving parts working together to ensure all goes smoothly from start to finish. Having a successful sales team starts with each individual team member. Being able to work together and keep each other up-to-date on what you’re working on will result in healthy, steady growth within your team. 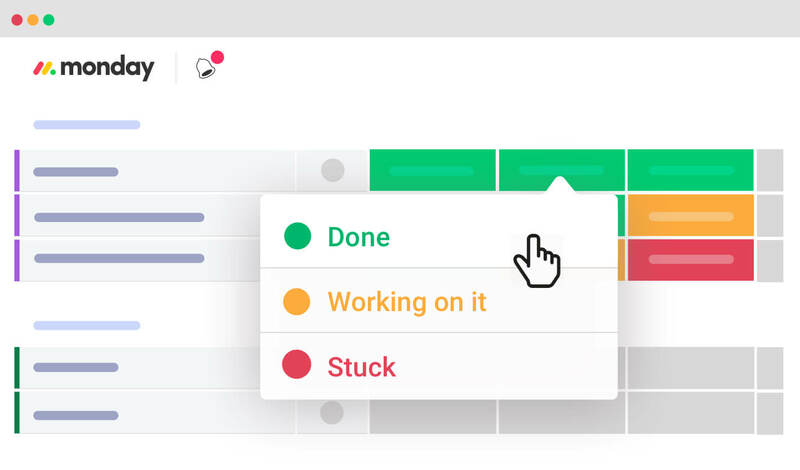 By tracking your sales processes, you’re able to get a clear and visual overview of what’s to come that month and beyond. You can clearly track potential revenue and compare growth numbers from one month to the next. By now you've completed the sales process, but your job is far from over! It’s time to begin the onboarding process. Maintaining a good relationship with your client during the post sale process can drastically alter the state of the account's growth potential down the line. In order to remain up-to-date, it’s important to stay organized and keep proper notes on where the account stands. 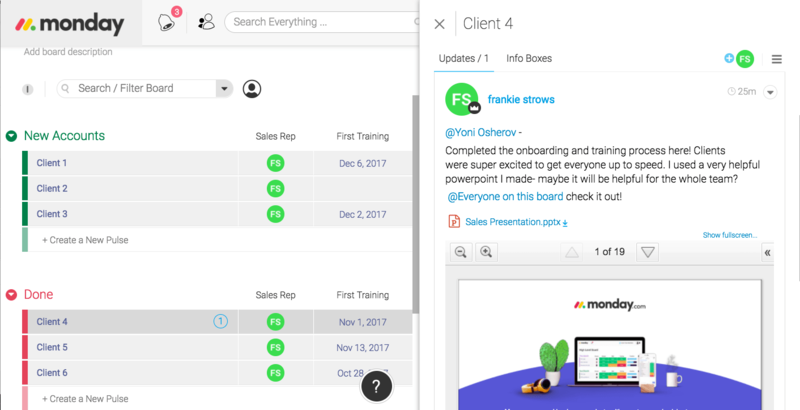 Keep upper management and colleagues informed by clearly tracking training sessions during the onboarding process. Did you use a helpful training manual or powerpoint presentation? 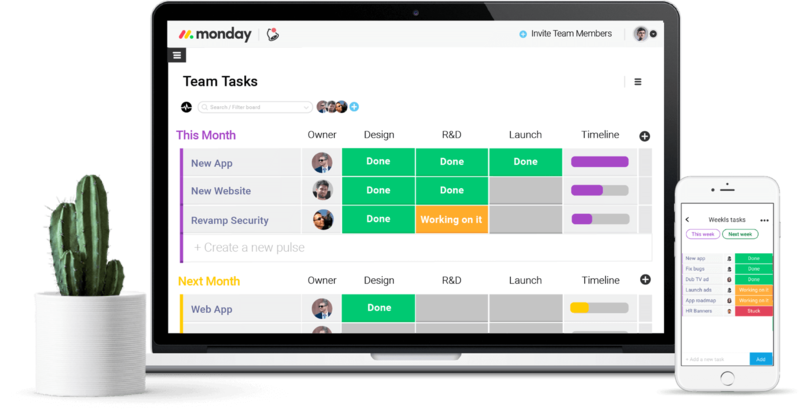 Share it with your team members to ensure their onboarding process goes just as well! "We have a relationship with our customer, and that relationship translates into sales."